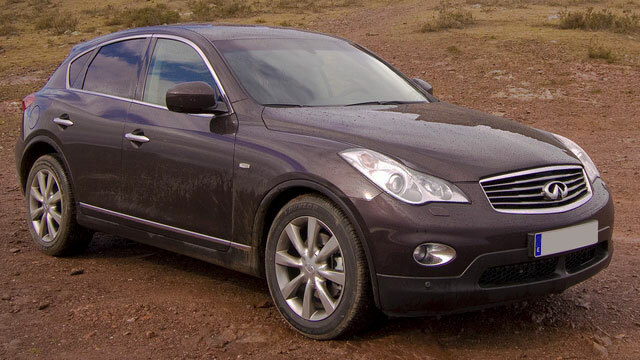 Infiniti is the luxury brand of Japan’s Nissan carmaker and is one of the most desirable lines of luxury automobiles. JW Auto Care, which serves the greater Scottsdale and Tempe region, is the place to go when you want an auto repair on your Infiniti, no matter what model or year you drive. Our auto mechanics are well versed in the maintenance and repair of Infiniti automobiles. Owner Johnny Welker, who took over JW Auto Care in 2010, set a high standard for auto repair and for his auto mechanics when he took over. Excellent customer service, efficiency and having the latest tools and using the latest techniques and technology for auto repairs became a hallmark of JW Auto Care. Infiniti drivers from around the Scottsdale and Tempe area soon came to know the excellence of the auto repair shop and their work on Infiniti autos. “I was able to easily get an appointment for the date and time I needed. The staff is professional, friendly and knowledgeable. I took my vehicle in for an alignment. The day before I took it in my "check engine" came on. Had them check that out too. Staff explained what would be done with the alignment and what it would cost. After the alignment was done they called me to explain what the check engine light was about and what the results of the inspection. Had to have a thermostat installed. They got everything done by the end of the day. They washed and vacuumed my car and brought it right up to the office for me. Staff did a great job in explaining what was done and what could wait. Nice to find a reputable shop close to my office that I can have confidence in.” -- Janice D.
When you bring your Infiniti in for maintenance or repairs, you can be certain that the auto mechanics at JW Auto Care in Scottsdale have your safety and comfort in mind and we will do our best to get you back on the road with your Infiniti in tiptop running condition as quickly as possible. For auto repairs and maintenance on your Infiniti, call us or schedule an appointment online. JW Auto Care is located at 3011 N. 73rd St., Scottsdale, AZ 85251.